They are two species of bedbug which spread with Mankind as blood feeding parasites. Cimex lectularius & Cimex hemipter. Continuous blood sucking night after night can cause anemia to young children or old man. Repeated bite can cause allergic reaction, irritation discomfort, sleepless nights etc. Hatchling bed bugs are about the size of a poppy seed, and adults are about 1/4 of an inch in length. They are oval in shape, but are flattened from top to bottom. Bed bugs seek out people and animals, generally at night while these hosts are asleep, and painlessly sip a few drops of blood. While feeding, they inject a tiny amount of their saliva into the skin. 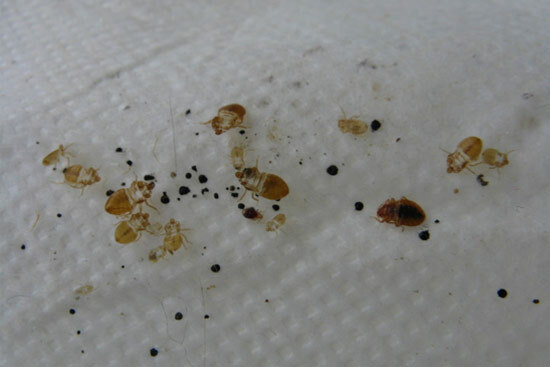 Repeated exposures to bed bug bites during a period of several weeks or more causes people to become sensitized to the saliva of these bugs; additional bites may then result in mild to intense allergic responses. 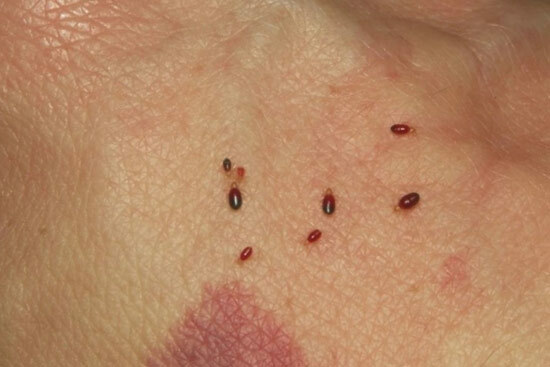 The skin lesion produced by the bite of a bed bug resembles those caused by many other kinds of blood feeding insects, such as mosquitoes and fleas. The offending insect, therefore, can rarely be identified by the appearance of the bites. A physician should be consulted to rule out other causes for the lesions and to offer treatment, as needed. The affected person should resist the urge to scratch the bites, as this may intensify the irritation and itching, and may lead to secondary infection. Physicians often treat patients with antihistamines and corticosteroids to reduce allergic reactions and inflammation. Despite what you may have. How do bed bugs invade a home? Because bed bugs readily hide in small crevices, they may accompany (as stowaways) luggage, furniture, clothing, pillows, boxes, and other such objects when these are moved between apartments, homes and hotels. 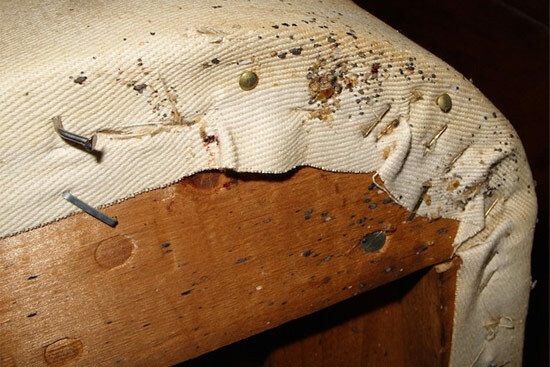 Used furniture, particularly bed frames and mattresses, are of greatest risk of harboring bed bugs and their eggs. Thus, one should carefully scrutinize and consider the history of any used furniture. Because they readily survive for many months without feeding, bed bugs may already be present in apparently ‘vacant’ and ‘clean’ apartments. Bed bugs can wander between adjoining apartments through voids in walls and holes though which wires and pipes pass. In a few cases, bats and/or birds may introduce and maintain bed bugs and their close relatives (bat bugs and bird bugs). Pest control personnel should be mindful of the presence of blood feeding insects and mites that may be left behind after removing nests or roosts of birds and bats in and on the home. Diagnosis of an infestation involves both finding bed bugs and the occurrence of compatible symptoms. Treatment involves the elimination of the insect (including its eggs) and measures to help with the symptoms until they resolve. They can be infected by at least 28 human pathogens, but no study has clearly found that the insect can transmit the pathogen to a human being. They have been found with methicillin-resistant Staphylococcus aureus (MRSA) and with vancomycin-resistant Enterococcus faecium (VRE), but the significance of this is still unknown. Investigations into potential transmission of HIV, MRSA, hepatitis B, hepatitis C, and hepatitis E have not shown that bed bugs can spread these diseases. However, arboviruses may be transmissible. Bed bugs are obligatory hematophagous (bloodsucking) insects. Most species feed on humans only when other prey is unavailable. They obtain all the additional moisture they need from water vapor in the surrounding air. Bed bugs are attracted to their hosts primarily by carbon dioxide, secondarily by warmth, and also by certain chemicals. Bedbugs prefer exposed skin, preferably the face, neck, and arms of a sleeping person. Bedbugs have mouthparts that saw through the skin, and inject saliva with anticoagulants and painkillers. Sensitivity of humans varies from extreme allergic reaction to no reaction at all (about 20%). The bite usually produces a swelling with no red spot, but when many bugs feed on a small area, reddish spots may appear after the swelling subsides. Although under certain cool conditions adult bed bugs can live for over a year without feeding, under typically warm conditions they try to feed at five- to ten-day intervals, and adults can survive for about five months without food. Younger instars cannot survive nearly as long; though even the vulnerable newly hatched first instars can survive for weeks without taking a blood meal. Bed bugs can exist singly, but tend to congregate once established. Though strictly parasitic, they spend only a tiny fraction of their lifecycles physically attached to hosts. Once a bed bug finishes feeding, it relocates to a place close to a known host, commonly in or near beds or couches in clusters of adults, juveniles, and eggs—which entomologists call harborage areas or simply harborages to which the insect returns after future feedings by following chemical trails. These places can vary greatly in format, including luggage, inside of vehicles, within furniture, amongst bedside clutter—even inside electrical sockets and nearby laptop computers. 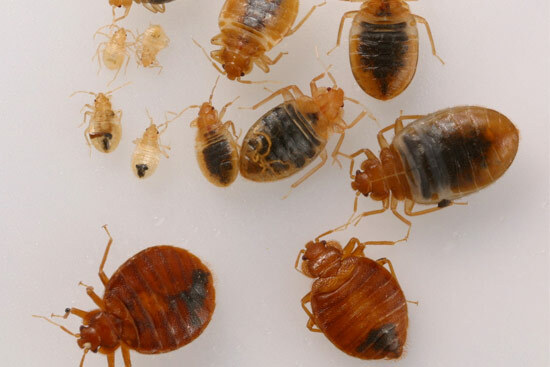 Bed bugs may also nest near animals that have nested within a dwelling, such as bats, birds, or rodents. They are also capable of surviving on domestic cats and dogs, though humans are the preferred host of C. lectularius. Bed bugs can also be detected by their characteristic smell of rotting raspberries. Once you smell this scent, however, you can be assured of a massive infestation. 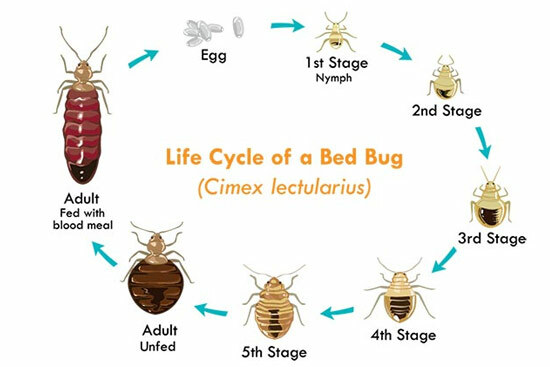 Bed bugs have five immature nymph life stages and a final sexually mature adult stage. They shed their skins through ecdysis at each stage, discarding their outer exoskeleton, which is somewhat clear, empty exoskeletons of the bugs themselves. Bed bugs must molt six times before becoming fertile adults, and must consume at least one blood meal to complete each molt. Each of the immature stages lasts about a week, depending on temperature and the availability of food, and the complete lifecycle can be completed in as little as two months (rather long compared to other ectoparasites). Fertilized females withenough food lay three to four eggs each day continually until the end of their lifespans (about nine months under warm conditions), possibly generating as many as 500 eggs in this time. Genetic analysis has shown that a single pregnant bed bug, possibly a single survivor of eradication, can be responsible for an entire infestation over a matter of weeks, rapidly producing generations of offspring. Eradication of bed bugs frequently requires a combination of non-chemical approaches and the occasional use of pesticides. Mechanical approaches, such as vacuuming up the insects and steam-treating, dry steam 180 °C or wrapping mattresses, are effective. 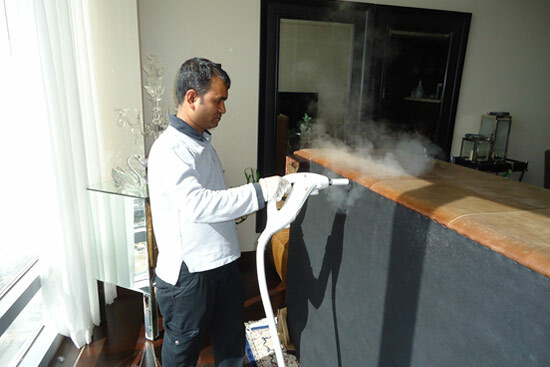 A combination of heat and drying treatments is most effective. A domestic clothes drier or steam kills bedbugs. Another study found 100% mortality rates for bed bugs exposed to temperatures greater than 50 °C (122 °F) for more than 2 minutes. Starving them is difficult as they can survive without eating for 100 to 300 days, depending on temperature. For public health reasons, individuals are encouraged to call a professional pest control service to eradicate bed bugs in a home, rather than attempting to do it themselves, particularly if they live in a multifamily building.